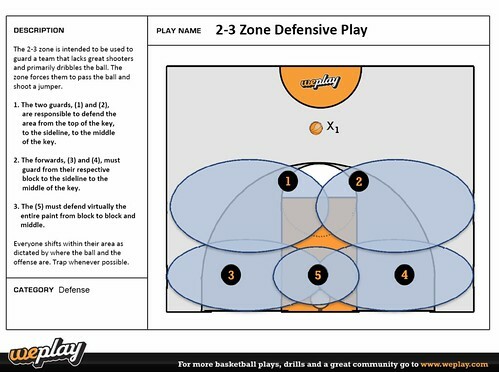 This defensive basketball play for youth basketball teams of intermediate and advanced levels is setup to stop an offense with good outside shooters or a lot of quickness. Players must call out where the ball is and defenders are at all times so the other defenders know where they need to rotate and help out. P.S. If you need a new basketball team website for your upcoming season, why not try TeamSnap?